Happy Holidays from Ditto and Friends!! 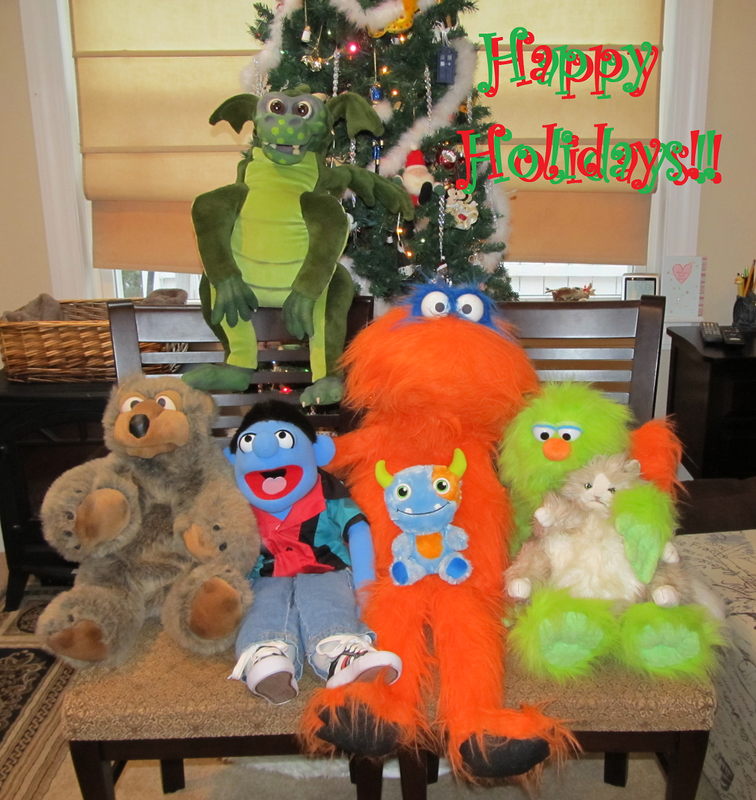 Ditto and his friends took a special holiday picture this year! Ditto wants to wish all of his friends and fans a very happy, safe, and fun holiday! Ditto started this website almost four years ago as a way to talk about his favorite game, Wizard101. In the years since, Ditto has found the most wonderful community of fans and friends a furry monster could ever hope for! Thank you everyone for being so wonderful!! From Left: Carl the Camera-Bear, Edgar Dragon, Chip, Ditto with ??? monster, Greenly Monster with Susan the cat.